By Turron Davenport, Blog Writer. DeSean Jackson’s father, Bill Jackson, succumbed to pancreatic cancer on May 14, 2009. Many fans don’t recognize the driving force behind DeSean Jackson’s success. As one of the most electrifying players in the NFL, Jackson’s confidence and on-the-field achievements have garnered him many admirers around the league. There’s an underdog element at work here due to his smaller frame, an undersized athlete with an oversized heart. As fans, that’s who we root for. It seems you can click to every NFL pre-game show on any given Sunday and find the “Successful player emerges from a bad upbringing” dramatic, music-fueled narrative in between game predictions and beer ads. That isn’t the case with DeSean Jackson. He is the product of a very strong, loving family that still works as a unit to support him and his efforts. When you turn on SportsCenter or NFL Night in America each week during football season, you’re likely to find a highlight of DeSean completing a 45-year touchdown pass or returning a punt to the end zone. What you rarely see, what gets rarely mentioned on blog posts or newspaper columns are Jackson’s charitable endeavors away from the Stadium. The DeSean Jackson Foundation has taken steps to help the community with a host of efforts. Last year, the foundation conducted a free health screening for people in the Philadelphia area. They also organized a free football camp that same day. The kids in attendance were delighted to actually interact with DeSean as he participated in running, throwing and receiving drills with them. Everyone was provided lunch and a camp t-shirt. DeSean also stayed late, signing autographs and taking pictures with the kids. In addition to enhancing Pancreatic Cancer awareness, the foundation has celebrated the efforts to put a stop to bullying among youths. The Jackson family, who are based in the Los Angeles area, already had a Philadelphia presence before DeSean got drafted by the Eagles. His cousin, Jimmy Jackson, a Vietnam War veteran, already lived in the area. DeSean and he reconnected once he arrived in Philly. After spending some time together and hearing Jimmy’s stories, DeSean approached the Wounded Warrior Project about doing something to honor those who have served in the military and are still afflicted by it. In September of 2012, DeSean donated $50,000 to the Wounded Warrior Project. DeSean Jackson also partnered with the Eagles and Mommy’s Light, a non-profit organization that has a goal of bringing comfort to young people who have lost their mothers. The result was a spinoff called Daddy’s Light which has a similar mission as Mommy’s Light but for children and teens who have lost their fathers. DeSean lost his father so he knows how devastating that can be. “We are so blessed to have DeSean reach out to us in this way,” said Beverly Abbonizio, the Executive Director of Mommy’s Light. “It’s been a great experience for our children. The families have been touched and moved to be his guest.” DeSean volunteers his time by meeting with families and sharing traditions. Recently, Tom Seagraves, a Penn Power employee in Philadelphia, was diagnosed with Pancreatic Cancer. Tom still works every day at the plant while undergoing treatment for the disease. Penn Power offered support to Tom through the company’s annual holiday tradition, offering $2500 in financial assistance with his medical bills. Seagraves and his family in turn chose to donate the money to The DeSean Jackson Foundation. Unfortunately, Tom’s life expectancy is short but his marvelous deed will be fondly remembered. 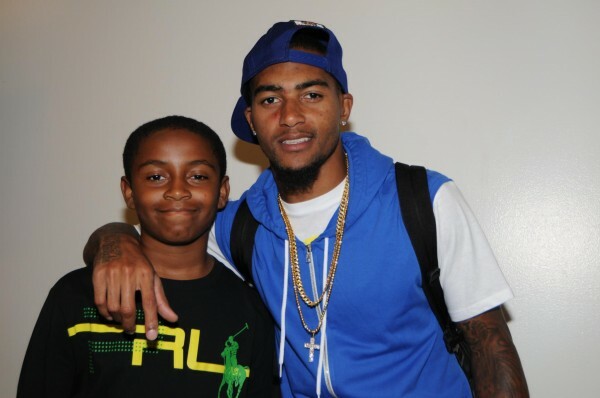 DeSean Jackson also has created a project for ‘Grieving Children’ in partnership with the Eagles and Molly’s House. ESPN recently aired a series called “My Wish” which profiled Jackson. Donovan Troy, a 10-year old boy in the Atlanta area suffering from sickle-cell anemia, had the opportunity to meet any player he wanted. He chose DeSean, his favorite player, a true testament to the impact athletes can have on their fans. 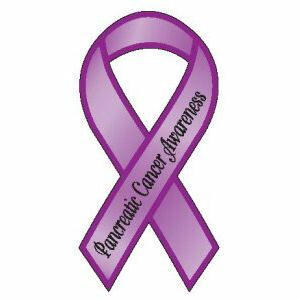 1) Take 10 minutes to learn about Pancreatic Cancer. 2) Tell 10 Friends about Pancreatic Cancer. 3) Donate $10.00 to the DeSean Jackson Foundation.